You can watch On The Edge on Jomovies.com... The Directorial debuts of Helen Mirren, Anne Heche & Mary Stuart Masterson Presented in three tales that will take you to the edge.. 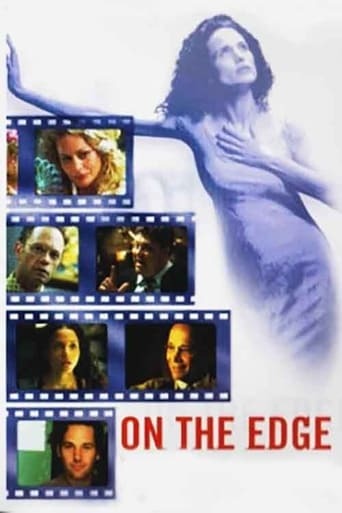 The so awaited release of On The Edge was on 2001-06-28 and it has a total duration of 95 minutes. You can watch full movies using services like Netflix, hulu, HBO, torrent etc. How long is On The Edge?On The Edge has a total playtime of 95 minutes.